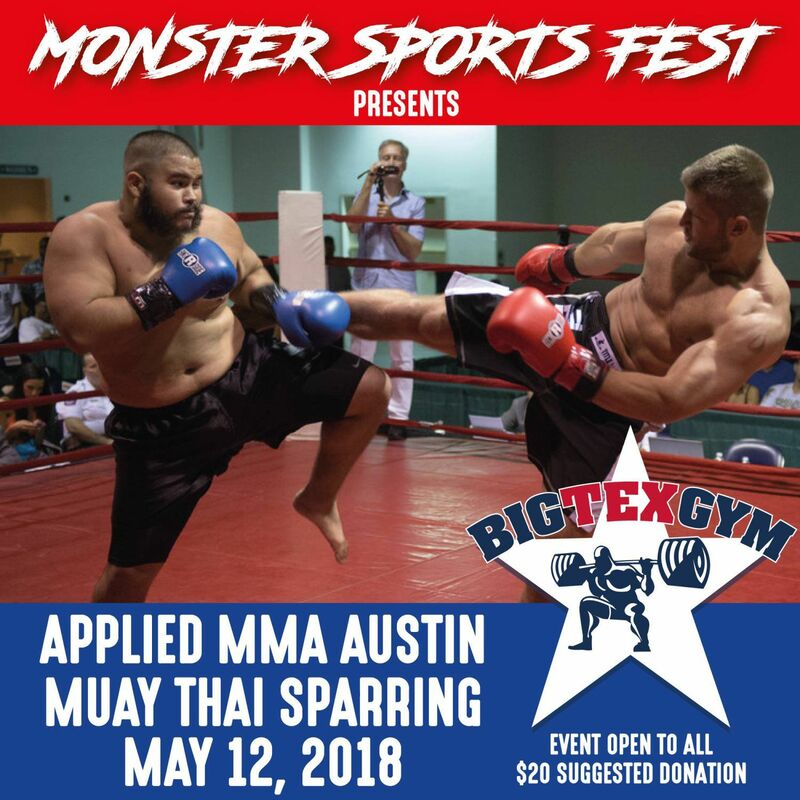 Big Tex Gym is proud to bring you our annual event, The Big Tex Gym in Austin, Texas on Saturday 5/4/19 to test your mettle on some classic Strongman events. There will be vendors/sponsors, music, food, games and fun for both competitors and spectators alike! Check out the details below! USS MEMBERSHIP REQUIRED FOR ALL COMPETITORS. Entry Deadline: Entries will be taken until the contest starts but you must enter by 4/13/19 to be guaranteed a contest T shirt. Awards: Trophies for 1-3rd place in all divisions/classes. Cash prize for top OPEN male and female competitors. "The Big Tex Winter Rumble 2.0"
Big Tex Gym is proud to bring you The Big Tex Winter Rumble 2.0!! Come on out to Big Tex Gym in Austin, Texas on Saturday 1/26/19 to test your mettle on some classic Strongman events. There will be vendors/sponsors, music, food, games and fun for both competitors and spectators alike! THE NATIONAL AXLE CLEAN AND PRESS RECORD WILL BE UP FOR GRABS!!! Who will walk away with the new USS Axle clean and press record?? Check out the details below! Entry Deadline: Entries will be taken until the contest starts but you must enter by 1/5/19 to be guaranteed a contest T shirt. Awards: Trophies & goodie bags for 1-3rd place in all divisions/classes. Cash prize for top OPEN male and female competitors. NATIONAL AXLE CLEAN AND PRESS RECORD UP FOR GRABS!!! 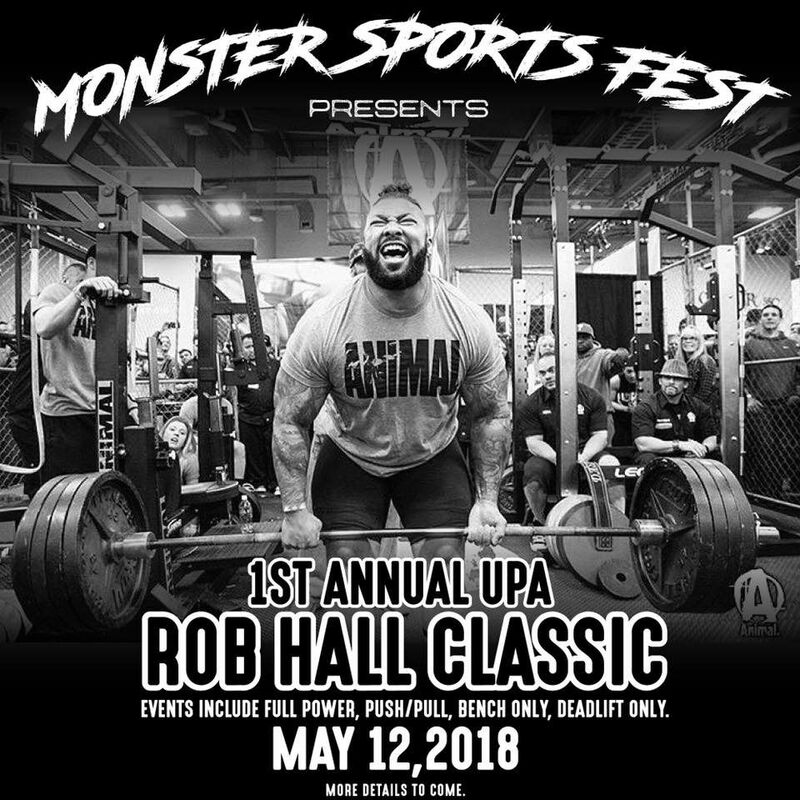 We are proud to announce the 2018 Monster Sports Festival - created by local family/veteran business, created for athletes and community. 1. General Admission: $15 + tax (For Early 🐦), $20 at the door. 2. VIP: $30 + tax (for Early 🦅), $40 at the door (if any left). 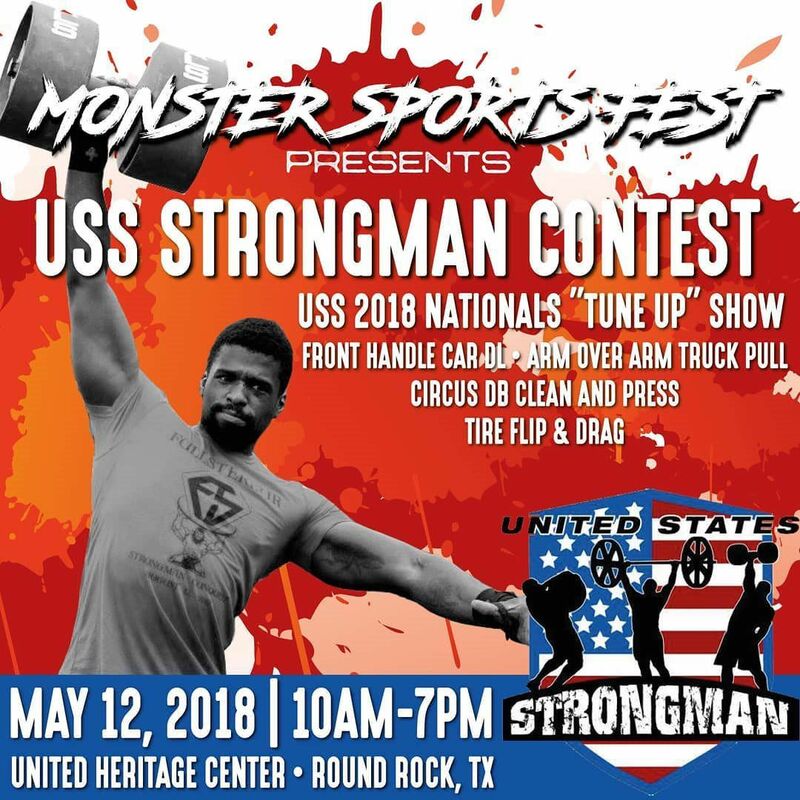 Want to meet Texas's strongest powerlifter? Have you ever seen a man or woman strong enough to pull a truck? or pick up a car? Are you curious to see what a pro-bodybuilder looks like in real life? Looking for a kid's friendly sports event to take your whole family to? Or are you looking to communicate and build a network with local 60+ businesses? ...then this is the event you should be at! *Local Vendors with samples, coupons, discounts, raffles, and giveaways! Let's make this a family trip! Our mission is to give back to our athletes and community and to have the biggest sports festival in the whole Texas area! Let's make it happen by sharing, liking, and inviting your friends! 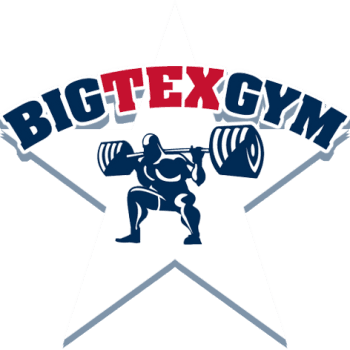 "The Big Tex Winter Rumble"
Description: Come on out to Big Tex Gym in Austin, Texas on Saturday February 24, 2018 to test your mettle on some classic Strongman events. There will be vendors/sponsors, music, food, games and fun for both competitors and spectators alike! Check out the details below!Come on out to Big Tex Gym in Austin, Texas on Saturday February 24, 2018 to test your mettle on some classic Strongman events. There will be vendors/sponsors, music, food, games and fun for both competitors and spectators alike! Check out the details below! 2015 IPL World Qualifier with a Master total IPL Worlds (Full Power) will be held Nov 12-15, 2015 in Las Vegas! *FREE Raffle for prizes just because. So hurry up and sign up @ https://www.facebook.com/BigTexGym?fref=ts or just email us @ bigtexgym@gmail.com for more info.